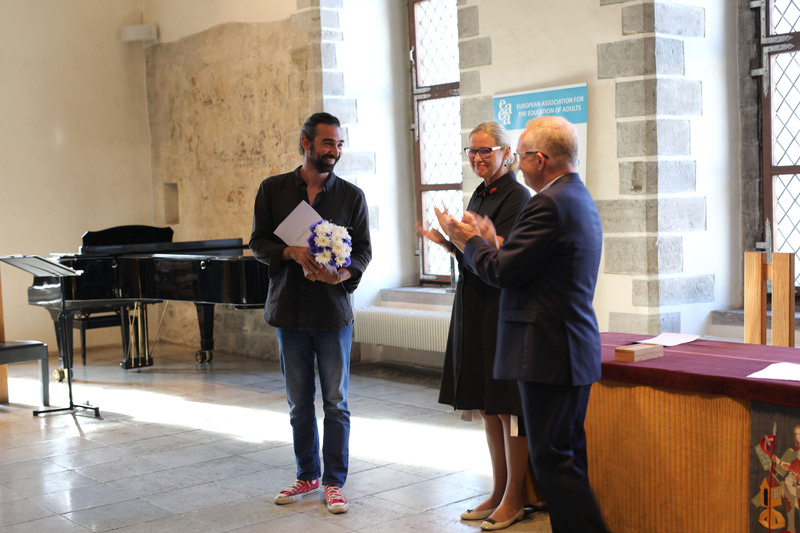 José Branco from Ha Moment, a partner organisation in the SK.IN - Skills for Inclusion project, accepted the award on behalf of the consortium. EAEA GRUNDTIVG AWARD 2018. SK.IN – Skills for Inclusion project aimed to share good practices and tools among adult educators to better support and improve competence development of their low-skills adult learners. What was the main purpose of this project? How did the project foster cooperations and partnerships? The main practice worth sharing was the active listening of people. What was the best practice learnt from this project that you want to share? MEDIA RELEASE. EAEA has awarded adult education projects in its annual EAEA Grundtvig Awards. This year's award celebrated cooperations and partnerships in adult education.